As of today, BlackBerry has officially started taking orders for the BlackBerry Priv; an Android based phone with a physical keyboard. The phone, with pricing at $699, £559 and CA$899, is being sold in the USA, United Kingdom and Canada respectively. Named as the "make or break device" for BlackBerry, the unit starts shipping on November the 6th in the US and Canada, with the United Kingdom reviving the phone at the slightly later date of November 9th. It appears that the Priv is also equipped with a pretty meaty camera (at least as far as specifications go). On the back you'll find the 18MP BSI2 stacked sensor, Optical Image Stabilization, 6-element f/2.2 lens, Phase Detect Auto Focus, dual-LED flash, 4k video recording at 30 FPS, 1080p video recording at 60 FPS and 6 DOF video stbilization on top of the OIS! Unfortunately the same can't be said for the front-facing camera. At only 2MP with a fixed-focus sensor, f/2.8 and 720p video recording, the stark contrast from front and back camera may leave customers feeling a little underwhelmed. The Priv will come pre-installed with Android 5.1.1 (not with the Android 6.0 Marshmallow as some had hoped) and with a huge focus on security; something that's rarely seen from larger companies. The phone is rumoured to come with Grsecurity kernel, which could potentially make it one of the toughest phones on the market when it comes to protection against exploits. "BlackBerry is a new company. We have new life. And we plan to continue to surprise our customers and the industry. [Priv] is just the latest move along that path," Chen wrote. 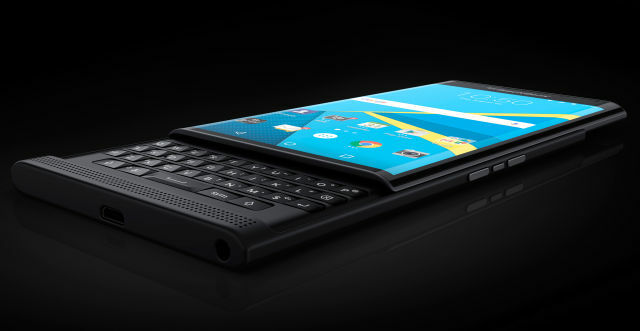 Will you be purchasing the BlackBerry Priv? Is the idea that BlackBerry is focusing on security something that you wish you'd see more often in large electronic companies? Give your opinion in the comment section below. DoX Hoster, stuart81, NataIie and 6 others like this.